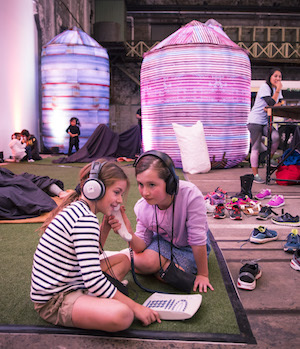 As the name suggests, the Awesome International Arts Festival for Bright Young Things brings fantastic arts events for young people to Perth… from around the world. So what does it take for a show to be included in the program? 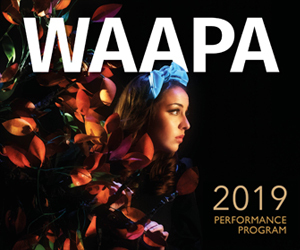 Awesome Artistic Director Jenny Simpson chose six shows from this year’s line up and explained why she selected them, and why you should check them out! “This is a show that I’ve wanted to program for some time. It’s had really successful seasons at the Sydney Opera House and Arts Centre Melbourne, where it absolutely won over audiences. It’s about a little girl called Ruby, and she’s a disempowered little girl because she’s not very well. She forms unlikely friendship with a very odd clown doctor. 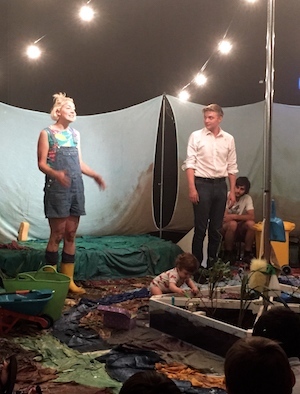 Together Ruby and the clown doctor create a whole new world in Ruby’s hospital room. “What’s not to love about this title? “It’s absolutely ticklish, and this show is ticklish. 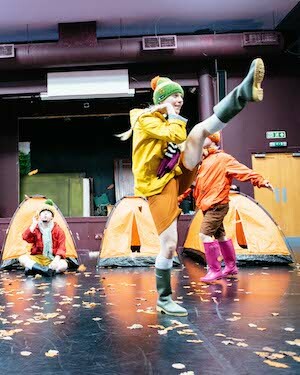 It’s by an extraordinary dance company from Glasgow whose name is Independance. They’re called Independance because they are loudly and proudly an inclusive dance company. So they have dancers from all walks of life, who have professional careers, sometimes dancers who we would not expect to have a professional career as a dancer. “Look, I guess my personal reason for programming this show is that I grew up on a little farm and we grew all our fruit and vegetables and our meat. We grew everything, pretty much, that we ate. So to me it’s very normal to know that our food comes from the land. I do wonder, sometimes, if that is the case for most children… and I doubt that it is. So McNirt Hates Dirt is a delightful little tale about a character who thinks dirt is horrible. He meets Gertie who loves dirt because dirt gives life to plants and flowers. 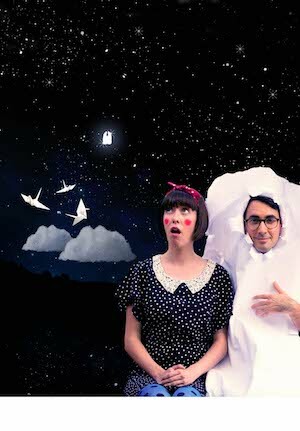 “I’m particularly excited about Side Pony Productions’ Audioplay: The Turners. “Side Pony Productions premiered a work, a few years ago now, that brought the audience into the narrative and into performing a play. When the work for adults came out a few years ago, all of us were really excited and impressed with it. So, when I got wind that they were making one for children, based on the phenomenally popular series The Turners by Mick Elliott, I really wanted to have it in Awesome. “I don’t want to give too much away about this, because it’s big, it’s dark and it’s spooky. And we all know that kids find ‘spooky’ to be one of the most exhilarating experiences. So this will be an exhilarating and fun experience. “We’re working with Fremantle Press to launch six extraordinary West Australian books. 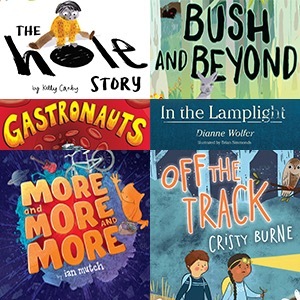 So those books – Bush and Beyond by Cheryl Kickett-Tucker, Gastronauts by James Foley, Off the Track by Cristy Burne, The Hole Story by Kelly Canby, In the Lamplight by Dianne Wolfer and More and More and More by Ian Mutch – are fantastic books. When you buy a ticket to this, you can choose which book you want. So the cost of your ticket gets you a book. It’s great value. “Many years ago I was very inspired by the work of 1927, a theatre company from the UK. I’ve always wanted them to make a work for children. As it turns out they are making a work for children with Barrie Kosky, and they will be at the Perth festival this year, which is utterly brilliant. However, I’ve searched the world looking for a similar style of work and I found a company in Hungary, of all places, that creates live theatre that interacts with exquisite animation. Pictured top: Radioplay: The Turners. Photo: David Collins. The Awesome Festival runs September 28 – October 12.